The idea of establishing an Educational Institute for women was conceived by Mr. Parmanand Bhai Patel, a renowned industrialist of Jabalpur. The proposal was welcomed by Pandit Ravi Shankar Shukla, the then Hon. Chief Minister of Madhya Pradesh. On July 15, 1954 Govt. M H College of Home Science and Science For Women came into existence with only Home Science classes. Mr. Parmanand Bhai Patel's, firm Mohanlal Hargovinddas donated Rs. One Lakh for the establishment of the college. On April 27, 1956 the foundation stone was laid down on 11 acres of land, situated in the heart of Jabalpur city, by the chief minister of MP. The college building is a beautiful piece of architectural work. Facilities such as Hostel, Sports complex, Canteen etc. are available in the college premises. The hostel accommodates about 650 girls. This is the biggest girls hostel of MP. In 1955 Mankuwar Bai College of Arts was merged with this institute. Looking at the progress of the Home Science Faculty, the Government of Madhya Pradesh granted permission to conduct Science classes as well. 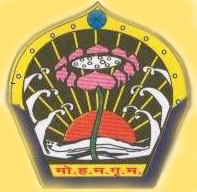 In 1986 Mankuwar Bai College became independent institute of Arts and Commerce. Hence the parent college became the college for Home Science and Science. The college is affiliated to Rani Durgavati Vishwavidyalaya, Jabalpur which awards degrees to the students. University Grants Commission, New Delhi implemented the Autonomous Scheme in 1979. The M H College is one of the pioneering institutions of Madhya Pradesh that adopted the autonomous system in the Higher Education in 1988-89. On the recommendation of UGC peer team the Autonomous status of the college has been extended up to the year 2012 - 2013. NAAC accredited the college with A grade in 2012. The college was selected in the UGC scheme “ Colleges with Potential for Excellence” in 2004. That time M H College of H Sc & Science for Women was the only Women college of the M P to be selected with 73 other colleges from all over the country. The college caters to the educational needs of young women coming from different strata of society by providing equal opportunities in conventional & various vocational courses in Science & Home Science faculty. To keep pace with the changing scenario ,the courses are restructured to include basic as well emerging interdisciplinary and application – oriented areas. The courses offered are adequately strengthened to develop appropriate skills, which are significant not only to the students , but also to the local , regional and national needs. Sufficient freedom is allowed to the students to choose the courses best suited to their interests and capabilities. The college also emphasises on value based education to inculcate soft skills. The student is considered not as a CONSUMER of the system but the CUSTOMER of the system. "To Impart Quality Education for the Overall Development of the Girls and Transform them into Responsible Citizens of the Country."